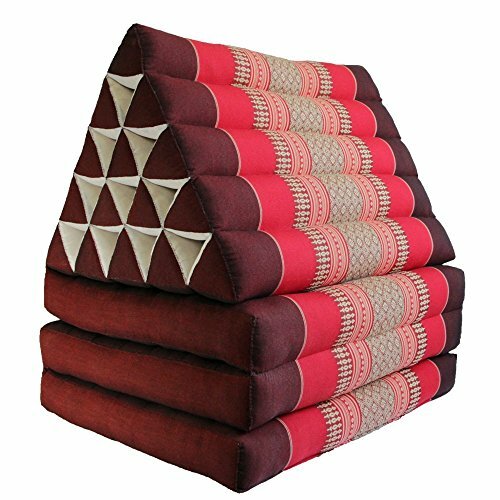 Jumbo Size Thai Handmade Foldout Triangle Thai Cushion, 73x18x3 inches, Brown Red, Kapok Fabric, Premium Double Stitched, Products From Thailand by WADSUWAN SHOP Thai Mattress at Thai City Deals. Hurry! Limited time offer. Offer valid only while supplies last. Thais is handmade Product, Our traditional three-fold Thai Mattress with triangle cushion is hand stuffed with natural kapok (a fluffy plant fibre).